Sometimes you might encounter some problems with getting your PC to "see" a connected radio. Here are some basic checks to carry out before contacting technical support. · The cable and radio are working? · When you plug another USB device (e.g. flash memory stick) into the same port, Windows makes the USB Device Add sound (and not the USB Device Fail sound)? If this does not happen, could you try another USB port? · Similarly, when you plug the programming cable into the PC; connect the radio and switch it on, does Windows make the same sound? If this is not happening, could you try another radio? 1. Connect the radio to the PC and ensure the radio is turned on. In Windows, start the Device Manager and expand the Network Adapters branch. 2. Can you see if there is a device called “MOTOTRBO Radio X” (where X is a number)? 3. Does the icon for this have a yellow triangle embedded in it? 4. If the device called “MOTOTRBO Radio X” is not listed, confirm whether it is listed under Unknown Devices? 5. If 1-3 check out okay, close Device Manager and open Network and Sharing Centre. 6. Is “MOTOTRBO Radio X” listed as a Network Adapter? 7. If “MOTOTRBO Radio X” is listed, click on the name then click on the Details button. Is there an IPv4 address; subnet mask and default gateway listed? By default these should be: 192.168.10.2; 255.255.255.0 and 192.168.10.1. 8. Assuming 1-7 check out okay, if you try to read the radio with the CPS, what error message do you get? 9. If by chance you get an error code 595, try turning WiFi off and unplugging the LAN cable then read the radio again. If “MOTOTRBO Radio X” is not listed under Network Adapters (see 4) but you do get the USB Device Add or Device Fail sound, you may need to reinstall the MOTOTRBO Driver. To do this have a look at these two posts. Also check if the Computer running CPS has not had other updates or software installed. I had this recently where I was testing a little-known 3rd party watcher console and this destroyed the comms between CPS and USB. Uninstalling and reinstalling CPS or the drivers did not work as they do not cleanly uninstall. I used Revo uninstaller to remove all traces of Motorola, Mototrbo, SQL and the 3rd party software before I could reinstall SQL and CPS. This took many hours. One of the biggest problems I see with our technicians talking to the mototrbo radios is having two network adapters enabled at the same time. 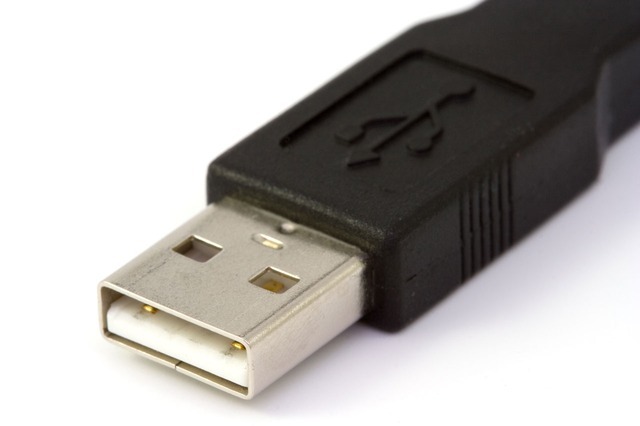 When you plug in the USB cable it creates a network connection with a default route in the route table. If there was already a network interface enabled there are now two default routes advertised in the routing table of the PC. To eliminate confusion the easiest thing is to just disable all interfaces before connecting the programming cable. I've not encountered that problem yet. What I do see from time to time is people with Wi-Fi/LAN connections on 192.168.10.x and getting Error 595 when trying to read a radio. Turning off Wi-Fi or unplugging the LAN cable provides a temporary solution though changing the Wi-Fi or LAN settings is the permanent fix. I have experienced a more practical problem from time to time, particularly with DP4000 series radios. Sometimes the radio simply won't read or write, even though you're cloning a whole bunch. Especially when you're in a situation where the radios are used in harsh environments, and the dust covers are missing, the contacts on the radio and/or the programming cable can become contaminated with crud that prevents a decent connection to be made. Sometimes it could even be a thin layer of oil from fingers that causes problems. I usually carry a small cloth and a little bottle of methylated spirits to give the contacts a good cleaning when I have this problem.